Want to win a huge print of your work without having to spend the money? Love showing off your skill at creating a panoramic photo? This is the contest for you. Here’s the deal: Instructor Mike Hagen is joining us for his upcoming class with an Instagram contest. Nothing like a friendly competition to kick start a renewed passion for learning, right? Now’s your time to show off your skills, earn some bragging rights, and an incredible prize. 1. RSVP for Mike Hagen’s class Photographing Panoramas for Large Prints. 2. Upload your favorite panorama to our student gallery between June 8 and June 30th. 4. Get even MORE pumped. 5. Kick back, peruse the competition, and cross your fingers until we announce the winner. That’s it. Way more fun than getting slapped in the face with a frozen salmon, right? Get all the official rules below — you know, legal stuff like “must be 18 to enter, open to U.S. and Canada residents only, and you must have the rights to the photo you’re using to enter,” etc. After you’re done there, head over to our student gallery and show us what you’ve got. OPEN ONLY TO LEGAL RESIDENTS OF THE FIFTY (50) UNITED STATES (EXCLUDING AZ, CO, CT, MD, NE AND ND), D.C. AND CANADA (EXCLUDING QUEBEC) WHO AT THE TIME OF ENTRY ARE AGE 18 OR OLDER AND OF THE LEGAL AGE OF MAJORITY AND WHO HAVE PURCHASED THE “PHOTOGRAPHING PANORAMAS FOR LARGE PRINTS” ONLINE CLASS. VOID WHERE PROHIBITED. ELIGIBILITY: The “Capturing the Perfect Panorama” Contest (the “Contest”) is open only to legal residents of the United States (excluding AZ, CO, CT, MD, NE and ND) the District of Columbia and Canada (excluding Quebec) who as of the date of entry are eighteen (18) years of age or older and of the legal age of majority in the jurisdiction in which the entrant resides and who have purchased the Mike Hagen “Photographing Panoramas for Large Prints” online class, available at https://www.creativelive.com/courses/photographing-panoramas-for-large-prints-mike-hagen. Current employees of CreativeLive, Inc. (“Sponsor”) or any of Sponsor’s parent companies, subsidiaries, affiliates or advertising, promotion and Internet agencies, and members of the immediate family or household of any such employee, are not eligible. U.S. and Canadian law govern this Contest. Void in Arizona, Colorado, Connecticut, Maryland, Nebraska, North Dakota, Quebec and where prohibited by law. HOW TO ENTER: The entry period for the Contest begins at 9:00 a.m. Pacific Time (PST) on June 9, 2016 and ends at 11:59 p.m. PT on June 5, 2016 (the “Entry Period”). 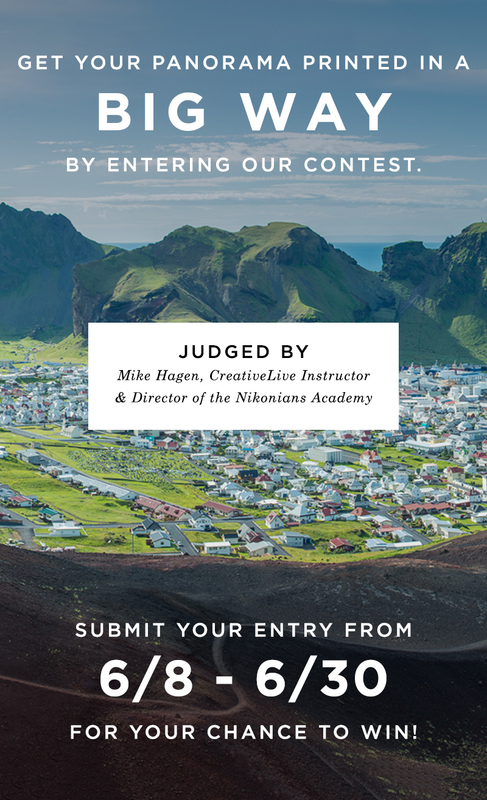 To enter the Contest, entrants must visit https://www.creativelive.com/courses/photographing-panoramas-for-large-prints-mike-hagen (the “Website”) during the Entry Period, purchase the “Photographing Panoramas for Large Prints class and upload a panorama photograph (their “Image”) to the “Student Work” section. The entrant’s Image must comply with the terms and conditions of these Official Rules (including without limitation all guidelines contained in Section 3 below). Website entries must be submitted and received by Sponsor prior to the conclusion of the Entry Period. Limit one (1) entry per person and per email address. Eligible entrants who submit an entry into the Contest in accordance with the above terms and conditions prior to the conclusion of the Entry Period will receive one (1) entry into the Contest. WINNER SELECTION AND NOTIFICATION: Following the conclusion of the Entry Period, one (1) potential winner will be selected by judges designated by Sponsor (the “Judges”) from among all eligible entries received during the Entry Period, by applying the following criteria to the entrant’s Image, weighted as indicated: (a) Originality/Creativity (40%) and Demonstration of Photographic Skill (60%). 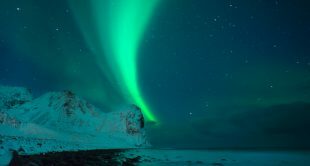 In the event of a tie between any two Images, the Image with the highest score in the “Demonstration of Photographic skill” category will be deemed the higher scoring entry. The odds of winning will depend on the number and quality of eligible entries received. The potential winner will be notified on or about June 30, 2016 by mail or by e-mail, at Sponsor’s discretion. If the potential winner cannot be reached within forty-eight (48) hours of the initial notification attempt, he or she may be disqualified and an alternate potential winner selected. The potential winner is subject to verification of eligibility and Sponsor will have the right, in its discretion to require that the entrant (i) submit proof of identity and/or eligibility in a form acceptable to Sponsor (including, without limitation, government-issued photo identification) and/or (ii) complete and return to Sponsor a Declaration of Eligibility and Publicity/Liability Release (collectively, a “Declaration and Release” for residents of Canada), within forty eight (48) hours of attempted delivery of same. If any attempted notification or prize delivery is returned as undeliverable or if the potential winner fails to respond to any notification attempt and/or fails to complete, sign, and return any documentation required by Sponsor within the time period specified above, does not meet the eligibility requirements set forth in Section 1, or is not compliant with these Official Rules, the potential winner will be disqualified and an alternate winner selected. Restrictions may apply. All prize details (including the consultants and instructors with which private mentoring and consultation sessions are offered, the dates, times and duration of such mentoring and consultation sessions) will be determined by Sponsor in its discretion. The aggregate ARV of the prize is Two Hundred and Fifty Dollars and No Cents (USD $250.00). The exact value will depend on market conditions at the time of prize fulfillment. Dates and times of all mentoring and consultation sessions and other prize activities will be determined by Sponsor and are subject to change. Remote consultation sessions will be held via teleconference or videoconference in Sponsor’s discretion. Sponsor is not responsible for any cancellation or postponement of any of the activities that are expected to comprise part of the prize. In the event of cancellation or postponement of any prize-related activity, Sponsor’s only obligation will be to provide a substitute prize or prizes of equal or greater value selected by Sponsor in its discretion. In the event the winner engages in behavior during any prize-related activity (including without limitation travel to such prize activity) that, as determined by Sponsor in its sole discretion, is obnoxious, threatening, disruptive, illegal, or tortious, or that subjects the winner to arrest or detention, or that is intended to or does threaten or harass any other person, or that violates any applicable rules and regulations, or that in any way disparages or adversely affects the reputation, image and/or customer goodwill of Sponsor, Sponsor reserves the right to remove the winner from the applicable prize-related activity, deny the winner from participating in any other prize-related activities and/or disqualify the winner from the Contest and require the winner to forfeit any and/or all prize components, with no further obligation or compensation whatsoever to the winner and no obligation to pay any damages, fees, fines, judgments or other costs or expenses of any kind whatsoever incurred by winner as a result of such conduct. Use of gift cards is subject to the issuer’s terms and conditions. The prize will be awarded if properly claimed. No substitution, cash redemption or transfer of the right to receive the prize or any component thereof is permitted, except in the discretion of Sponsor, which reserves the right to substitute a prize or prize component of equal or greater value selected by Sponsor in its discretion. The prize consists only of the items expressly specified in these Official Rules. All expenses or costs associated with the acceptance or use of the prize or any component thereof that are not expressly specified in these Official Rules as being part of the prize are the responsibility of the winner. Each component of the prize is awarded “as is” and without any warranty other than as required by law. FOR U.S. RESIDENTS: All federal, state and local taxes on the value of the prize are the responsibility of the winner. An IRS form 1099 will be issued in the winner’s name if required by law. GRANT OF RIGHTS: By entering the Contest, each entrant irrevocably grants Sponsor and its parent companies, subsidiaries and affiliates, and the agents and licensees of each of the foregoing (collectively, the “Licensees”) the right to use the entrant’s name, likeness, voice, and/or biographical information, in perpetuity, throughout the world, in all media and formats whether now or later known or developed, for commercial purposes and any other purposes (including, without limitation, advertising and promotion), without further compensation, unless prohibited by law. In addition, by entering the Contest and submitting an Image, each entrant irrevocably grants the Licensees a non-exclusive license to publish, display, reproduce, modify, edit, create derivative works based on and otherwise use the entrant’s Image, in whole or in part, in perpetuity, throughout the world, in all media and formats whether now or later known or developed (including without limitation on Sponsor’s websites and social media channels), for commercial purposes and any other purposes (including, without limitation, advertising and promotion), without further compensation, unless prohibited by law. RELEASE AND LIMITATION OF LIABILITY: The Licensees and all other companies involved in the development or operation of the Contest or the provision of the prize or any component thereof, and the successors and assigns of each of the foregoing, and the officers, directors, employees and agents of each of the foregoing (collectively, the “Released Parties”) are not responsible for, and will have no liability for, (a) late, lost, delayed, illegible, damaged, corrupted, postage-due or incomplete entries, incorrect or inaccurate capture of, damage to, or loss of entries or entry information, or any other human or technical errors of any kind relating to the operation of the Website, communications or attempted communications with any entrant, the submission, collection, storage or processing of entries or the administration of the Contest, (b) any “act of god” or other force majeure event outside of Sponsor’s control that may cause any postponement or cancellation of any prize-related activity or any component of the prize, (c) undeliverable e-mails resulting from any form of active or passive e-mail filtering by a user’s Internet service provider and/or e-mail client or for insufficient space in user’s e-mail account to receive e-mail or (d) any damage to any computer system resulting from participation in or accessing or downloading information in connection with the Contest. By entering, each entrant releases and agrees to hold each of the Released Parties harmless from and against any and all claims and liabilities of any kind that the entrant ever had, now has or might in the future have arising out of or relating to the Contest, participation in the Contest, the acceptance, receipt or use of the prize or any component thereof (including without limitation any participation in or travel to any prize-related activity) and/or any use of the entrant’s name, likeness, voice and/or biographical information and/or any Image, including without limitation all claims and liabilities based on any personal injury, property damage or loss or death or any violation of the right of publicity or privacy or infringement of copyright. Entrants assume all liability for any injury or damage caused, or claimed to be caused, by participation in the Contest or the acceptance, receipt or use of the prize or any component thereof (including without limitation any participation in or travel to any prize-related activity). The Released Parties are not responsible for any typographical or other error in the printing of the offer, administration of the Contest or in the announcement of the prize. In no event will more than one (1) Grand Prize be awarded. 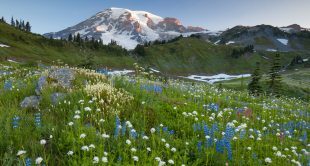 WINNER’S NAME AND RULES REQUESTS: For the name of the winner, available after July 2, 2016 or a copy of these Official Rules, send a self-addressed, stamped envelope to: Capture the Perfect Panorama Contest, c/o CreativeLive, Inc. Legal Dept., 757 Thomas St. Seattle, Washington 98109.